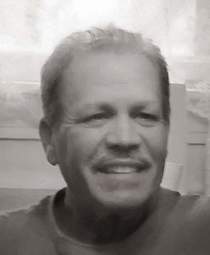 Jimmy Dale Franklin, 64 of Providence, passed away December 15, 2018 at Jewish Hospital in Louisville, Ky. He is the son of the late James and Betty (Reynolds) Franklin. Besides his parents Jimmy Dale is preceded in death by his sisters Donna Stone and Darlene Capps. He is survived by his wife Darlene, a son Jason Franklin (Tonya), 2 daughters Rebecca Hill and Laura Parker (Chad), his brother Scotty Franklin, 2 sisters Debbie Perdue (Greg) and Cindy Ferguson (Joe), 5 grandchildren and 1 great grandchild. Visitation will be December 18, 2018 from 4 to 8 pm and on December 19 from 8 am until service time in the Chapel of Jones Kirby Funeral Homel at 11am with Bro. Tim Rigdon & Rev. Greg Hathaway conducting the service. Burial will follow at Lakeview Cemetery. Online condolences and more at www.joneskirby.com.